Obviously this shared fictional universe didn’t evolve all at once, or entirely cleanly. The notion of the Predator films existing in the same reality as Aliens was suggested by a xenomorph trophy hanging aboard the Hunter ship in Predator 2, but the eventual Alien vs. 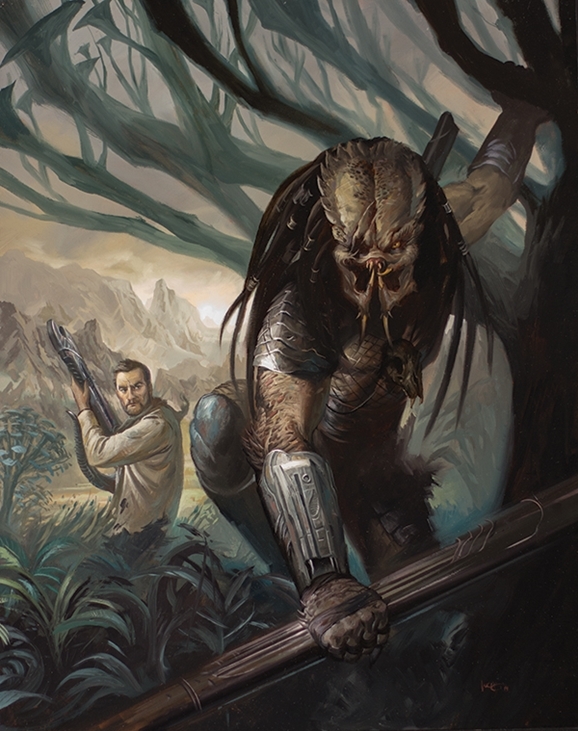 Predator movies weren’t well received by most, so they’re the two related films that aren’t considered canon when it comes to Dark Horse’s Fire and Stone. Four miniseries will be released in the following order: Prometheus, Aliens, AVP, and Predator. They will then be followed by a fifth, undisclosed title that will bring the overall story to a head. As Lovecraft said, ‘The oldest and strongest emotion of mankind is fear, and the oldest and strongest kind of fear is fear of the unknown.’ And science fiction offers a lot of that. Close Encounters is a little bit scary … but in a way, I don’t think these are science fiction films, not in a hard SF way. Alien and Predator don’t deal with science, with speculative ideas. Prometheus does. 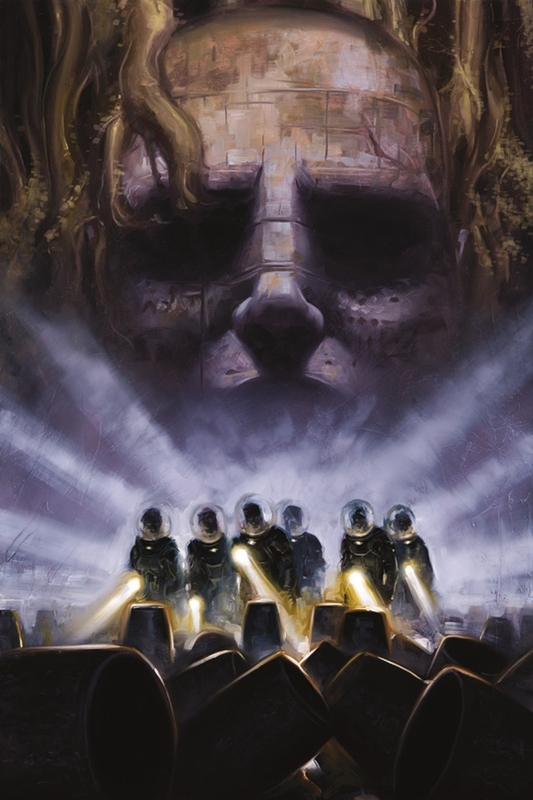 It’s the material we’re developing from Prometheus that turns this whole story into a proper SF story — but still with slavering monsters and a lot of death. They’ve got a good look and cool lingo and pulse rifles, so it’s understandable, and they’re also highly capable men and women who are trained to do exactly that. But one of the things I find really appealing about the first film that holds up so well is that it’s just regular folks. It’s blue collar, and maybe a little bit of white collar workers in the upper ranks, who are just way out of their depth dealing with this stuff. That’s very much the vibe I wanted to get back to, and that’s what Scott was looking for as well. As seems to be the case throughout the line, new characters will be the focus, with no word about cameos or larger involvement for any of the established movie characters. But the new characters may appear in more than one of the new comic series. 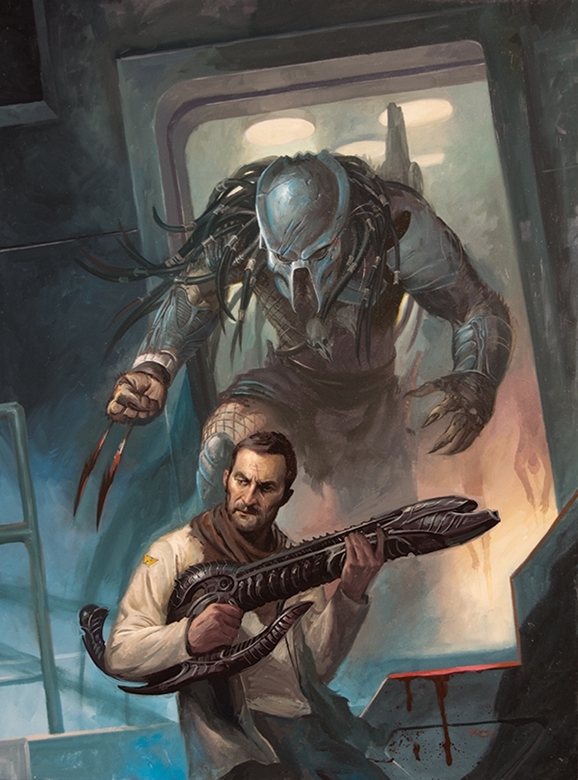 Williamson cites a character named “Galgo” as an example — he first shows up in Prometheus, then moves through AVP and into Predator, becoming the main character for that latter book. You can check out more cover art below. 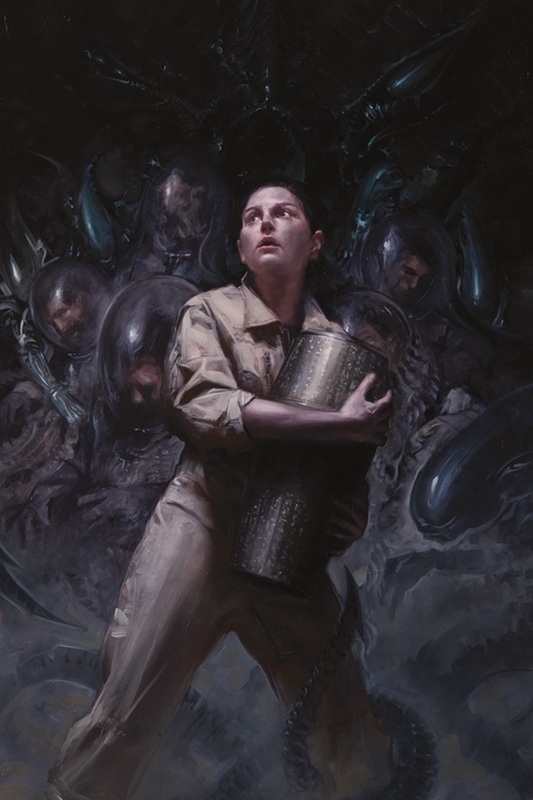 The new Dark Horse Prometheus, Aliens, AVP, and Predator comics will launch in the fall. 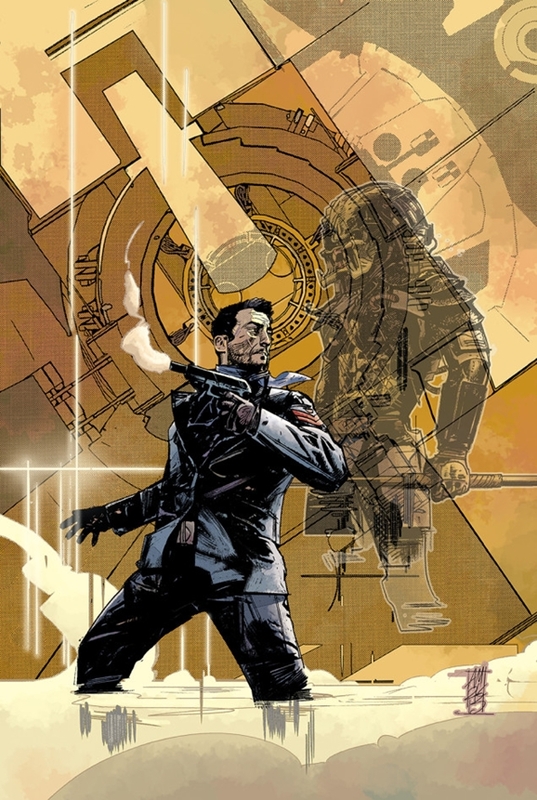 Hit the next page for a guide to this week’s new science fiction comics!